Whether your "all-star” prefers Chauncey or Rip, our Basketball Challenge (15Lx9Wx9H) will definitely be a slam dunk! 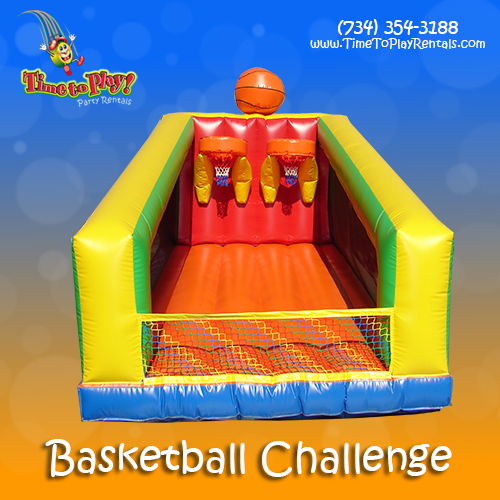 With this basketball game, two players can compete in timed challenges or even take on a game of HORSE. Our Basketball Challenge is great for a variety of occasions, including sports-themed parties, carnivals, fairs and fundraising events. Your rental includes four medium basketballs.